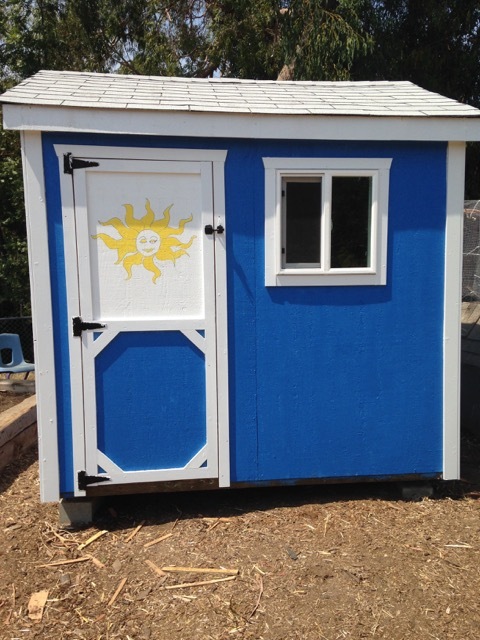 Description: This coop is in the garden at Redwood High School in Redwood City, CA. 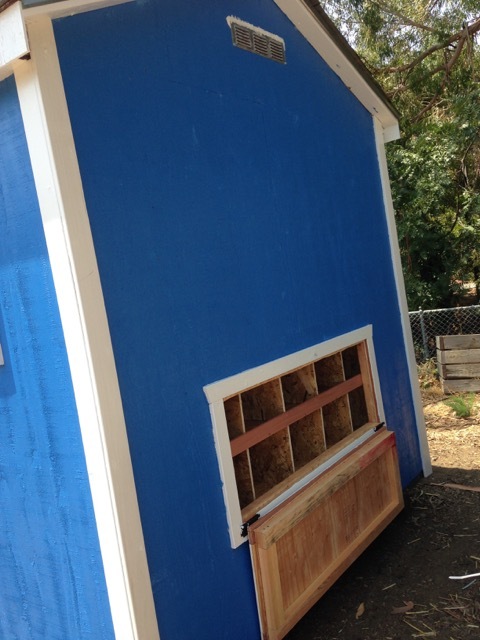 This newly built coop is a Girl Scout Gold Award project benefiting the expanding garden program at Redwood High School. The site features an extensive garden which is run with help from both students and the San Mateo County Master Gardeners. The garden currently has five chickens but the new coop can accommodate up to 25 hens. It includes a handy side door for easy egg collection and the coop features student created artwork. 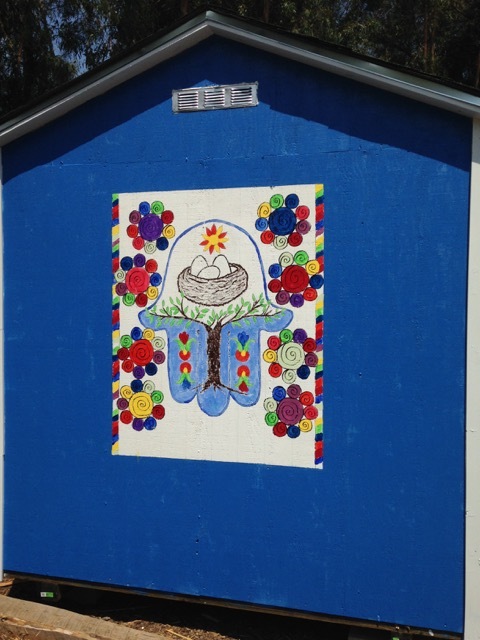 Below are newer pictures of the final, painted coop.